Bozeman, Montana is an incredible launch pad for outdoor adventures! With countless parks, recreation, and restaurants within driving distance, there has never been a better time to visit Big Sky Country. National parks are the jewels of this country, earning top billing on many traveler’s bucket lists. Our favorite, of course, is Yellowstone National Park. Journey Rent-A-Car specializes in supplying dream vacation experiences with rental cars. Whether you’re enjoying a solo journey or you’re showing your children the American countryside, we’ve got the rental car for you. With cars, vans, and SUVs, let us help you check transportation off your vacation planning to-do list. Yellowstone National Park is a destination for all ages and all interests. To sum it all up, Yellowstone is full of wildlife, waterfalls, and wonder! Hiking throughout the park, you’ll see some incredible sights amidst the mountainous terrain. Seeing the magic of a waterfall never fails to impress. While there are many waterfalls in the park, our favorite vantage point is the Grand Canyon of Yellowstone. This area offers 3 waterfall sights including the Lower, Upper, and Crystal Falls. Yellowstone is full of majesty and wonder. Pictures truly don’t do the natural sights justice. Although, it’s still worth taking a selfie! Basque in the wonders of Yellowstone’s geysers. Geysers are hot springs that occasionally erupt and splash due to a combination of minerals, heat, and pressure. 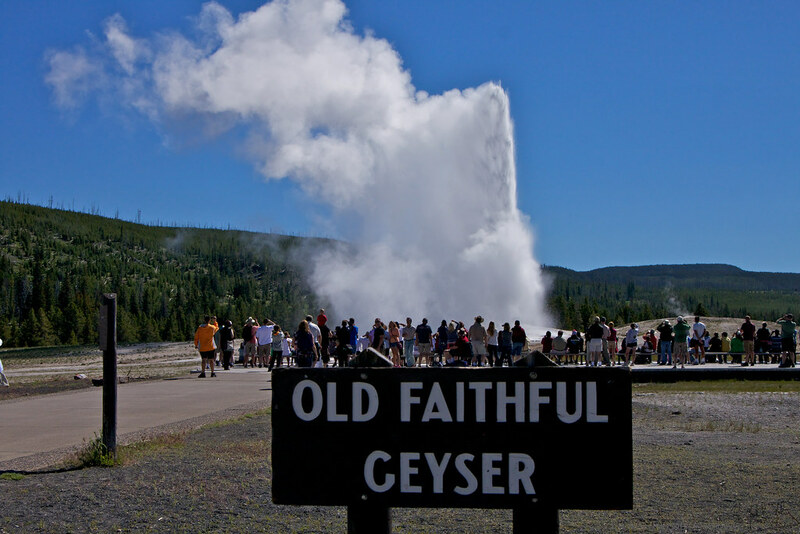 The most famous one is Old Faithful Geyser. Created by a volcano, this geyser erupts every 44 to 125 minutes for the sightseer’s fancy. Yellowstone National Park is just one of the many incredible destinations you can reach from Bozeman. You’ll definitely need more than a few days to do Montana and the surrounding areas justice. Get your ticket to adventure by reserving your rental car from Journey Rent-A-Car at (406) 551-2277.